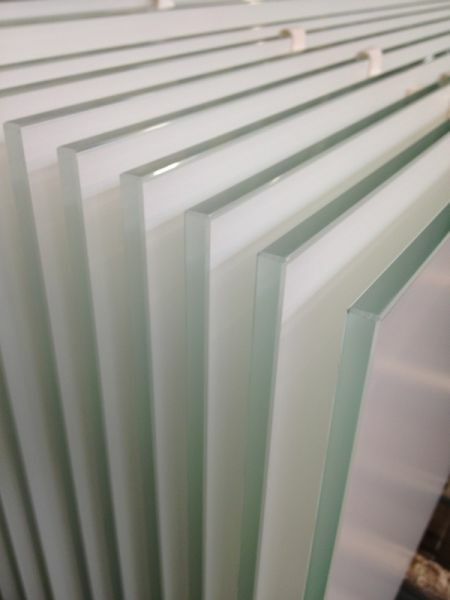 Toughened safety glass is made via a thermal toughening process. 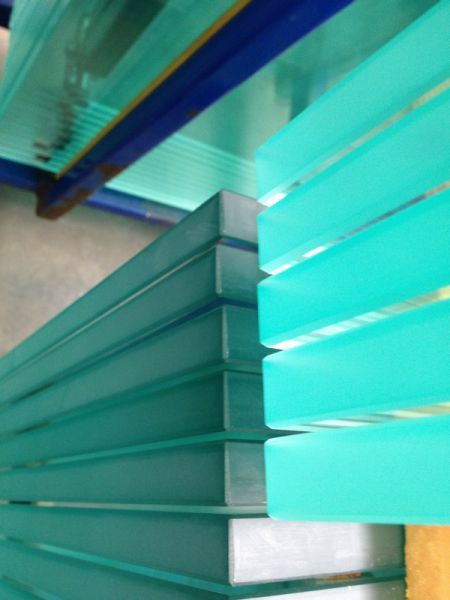 A heating and cooling process distribute the stress in the glass. 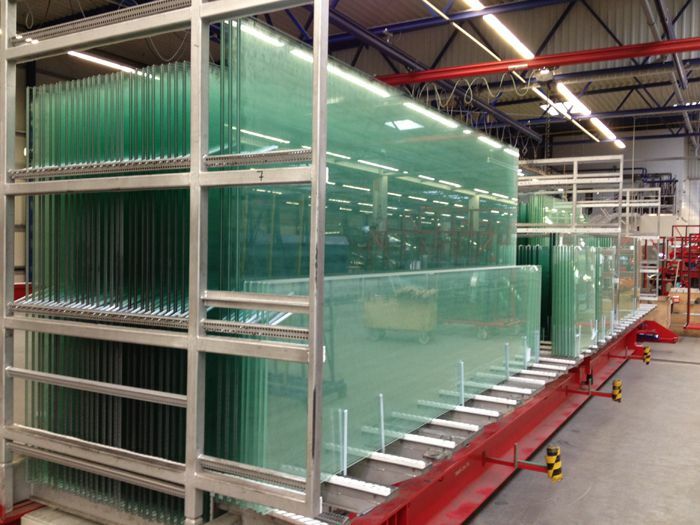 The glass is heated to a temperature above 620°C, and then air-cooled. 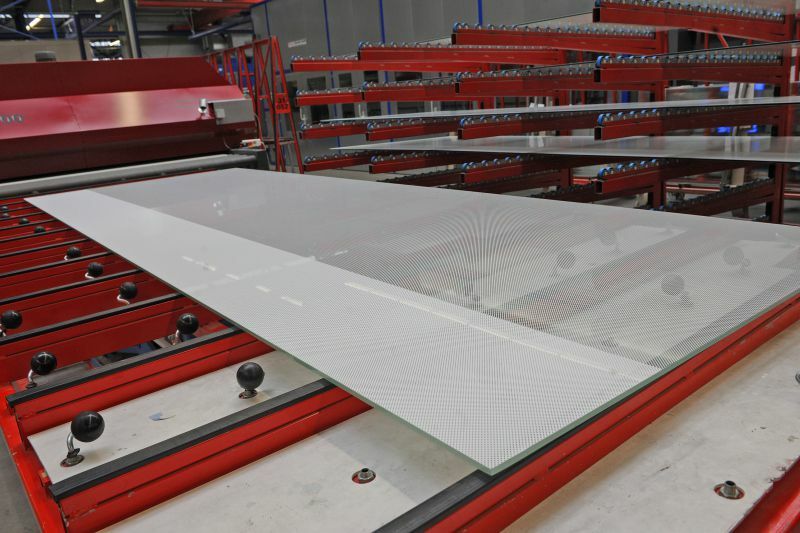 This sudden cooling induces tensile stresses in the centre of the glass balanced by compressive stresses in the surface. 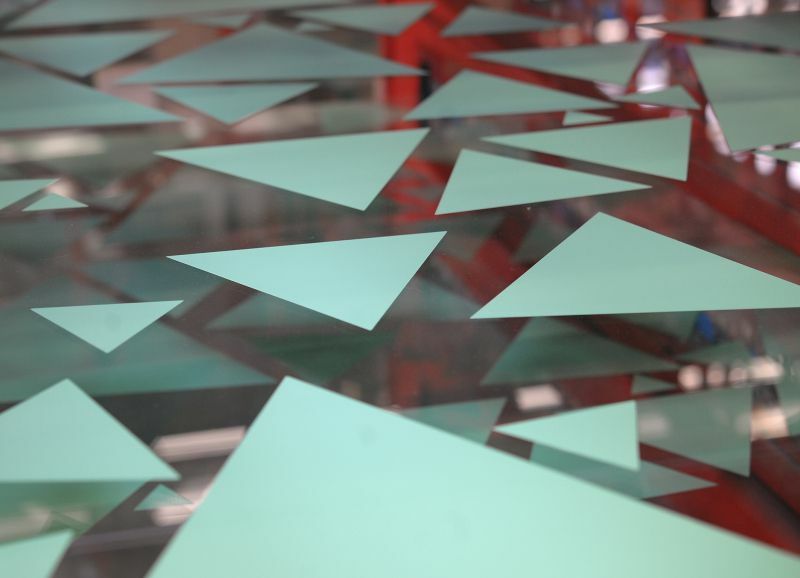 If broken, this equilibrium of stresses is destroyed and the glass crumbles into small pieces that have blunt edges. 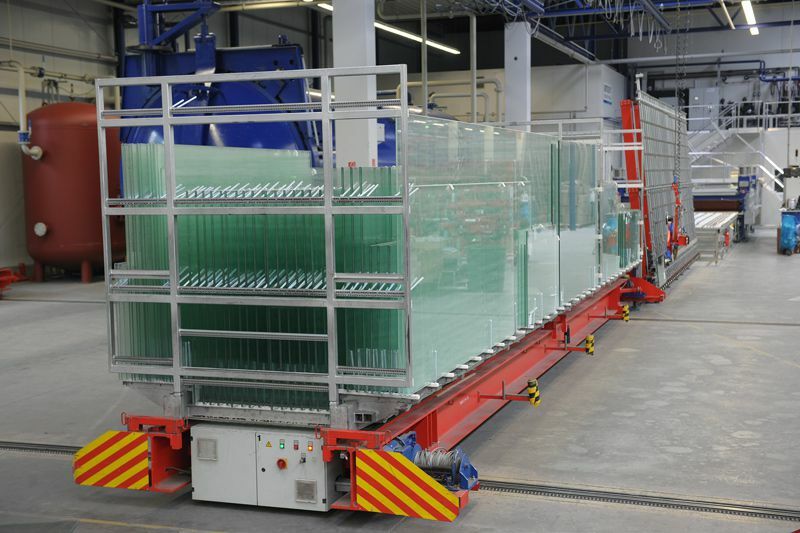 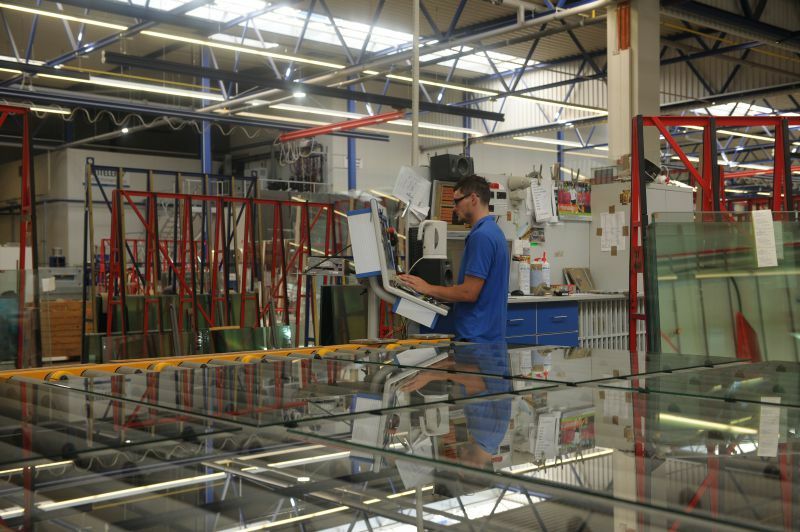 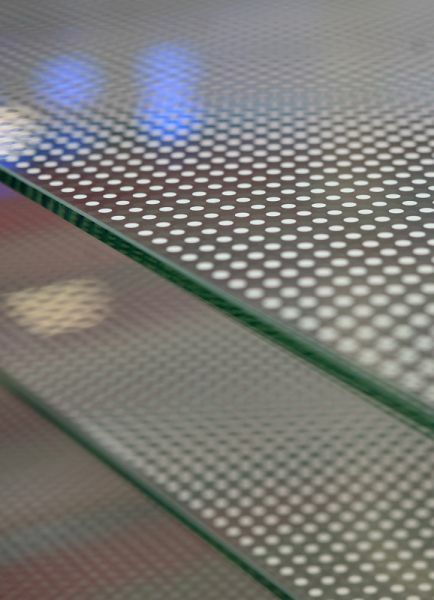 The benefits of toughened safety glass are its increased bending, impact, shock and thermal shock resistance. 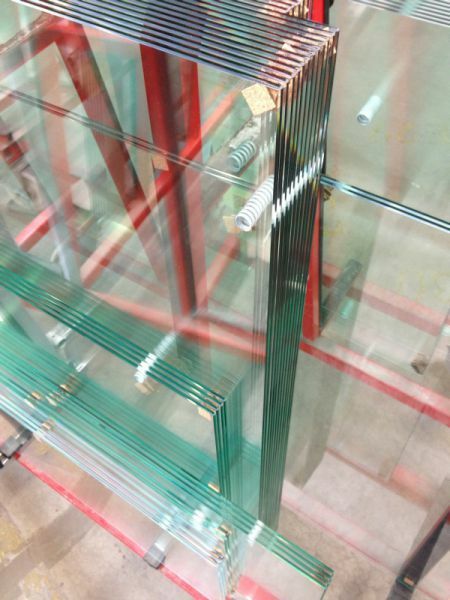 As a result of its safety toughened safety glass can be used for exterior and interior applications. 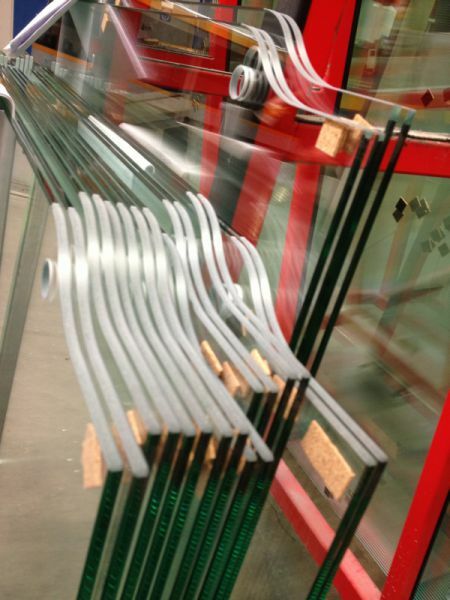 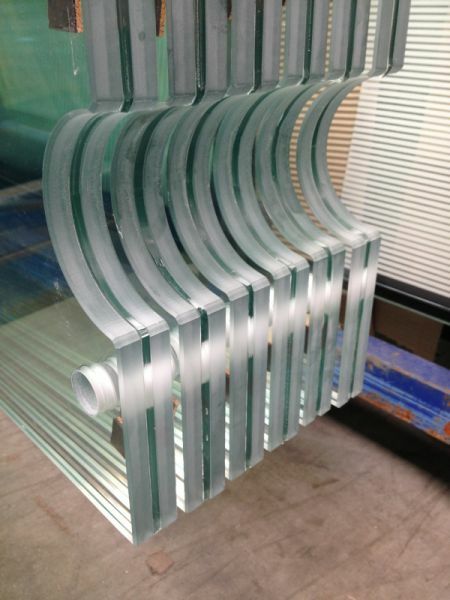 Heat strengthened glass undergoes a similar manufacturing process as toughened glass. 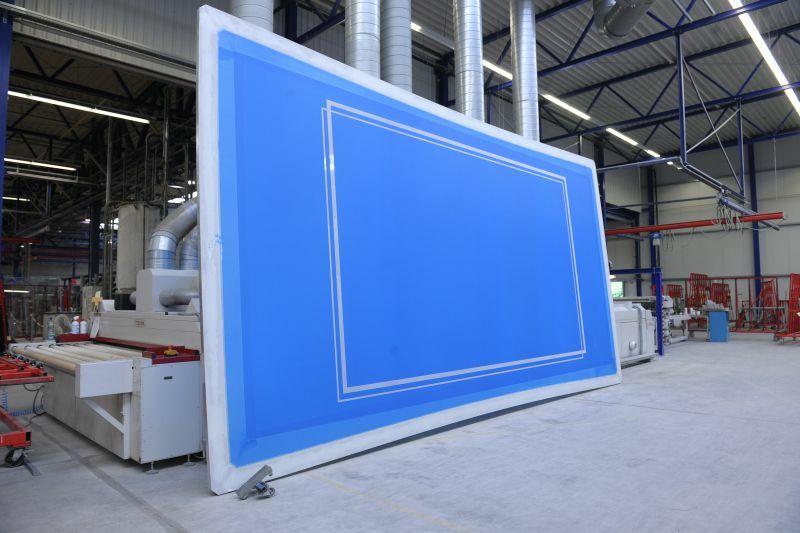 The only difference is the significantly slower cooling process. 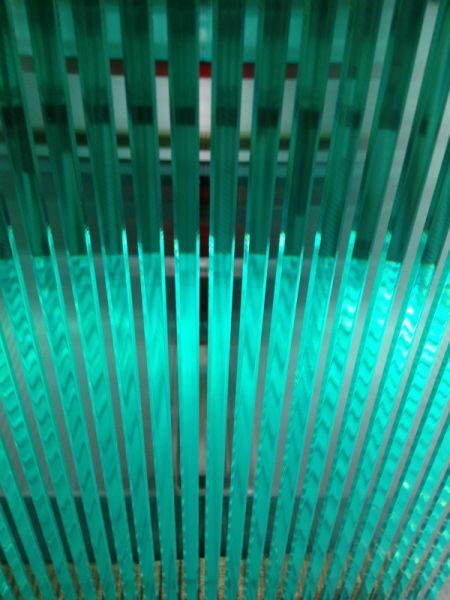 By cooling the glass at a slower pace less stress is induced in the glass. 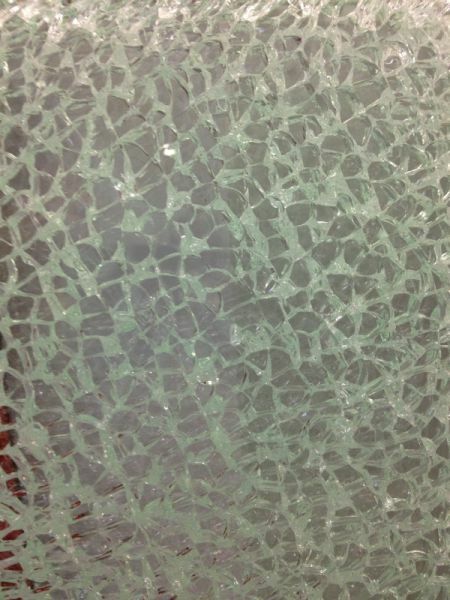 This results in heat strengthened glass having a similar breakage pattern as float glass. 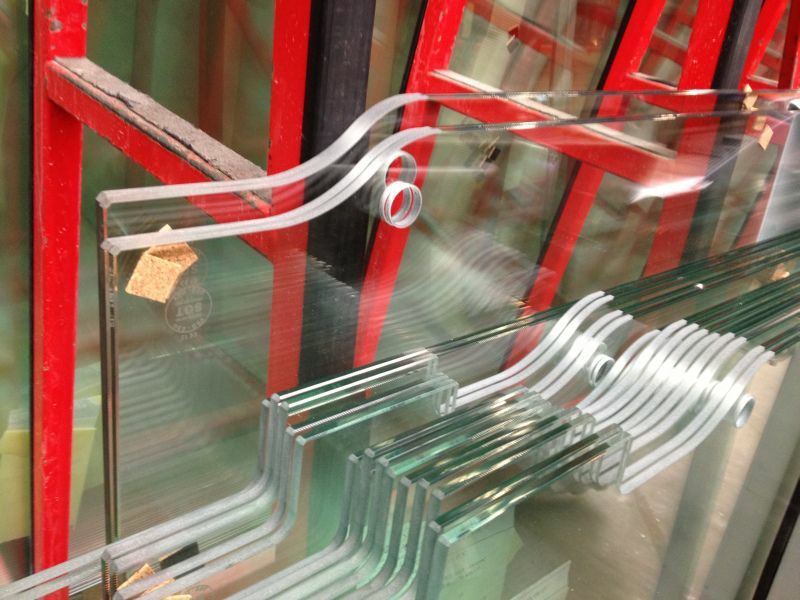 Heat strengthened glass can only be regarded as safety glass when used in laminated glass. 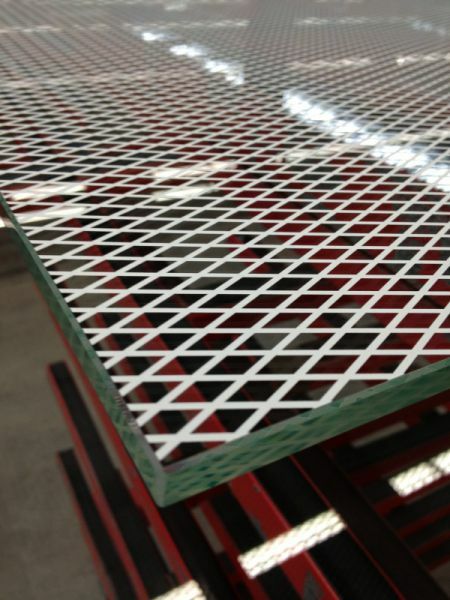 Laminated safety glass consists of at least two panes of either float glass, toughened glass or heat strengthened glass firmly bonded with viscoelastic, highly tear resistant special interlayers. 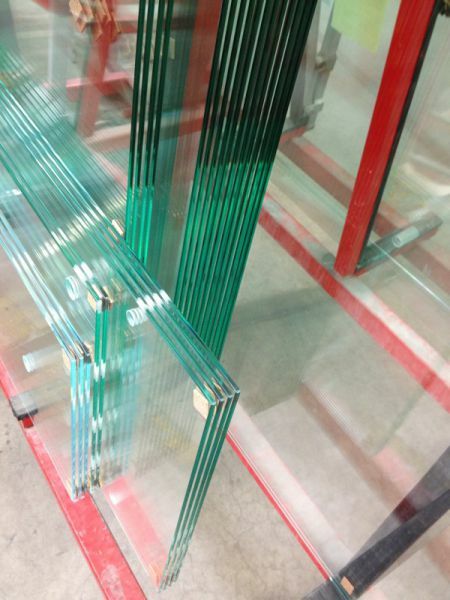 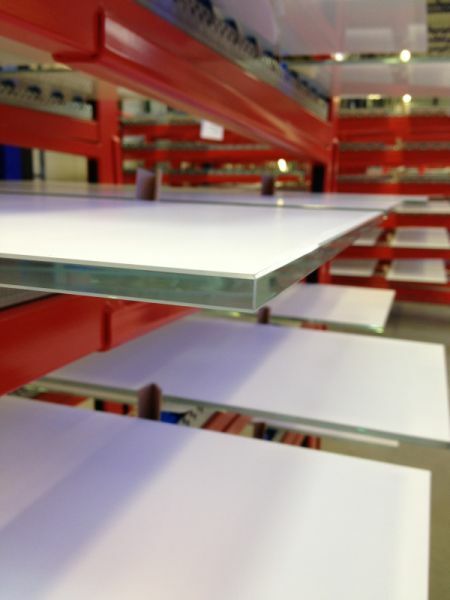 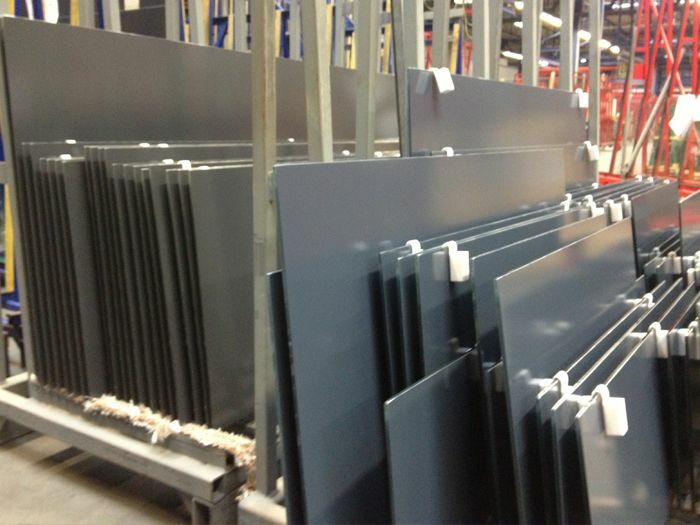 SGT uses enamels to provide toughened glass in a range of different colours. 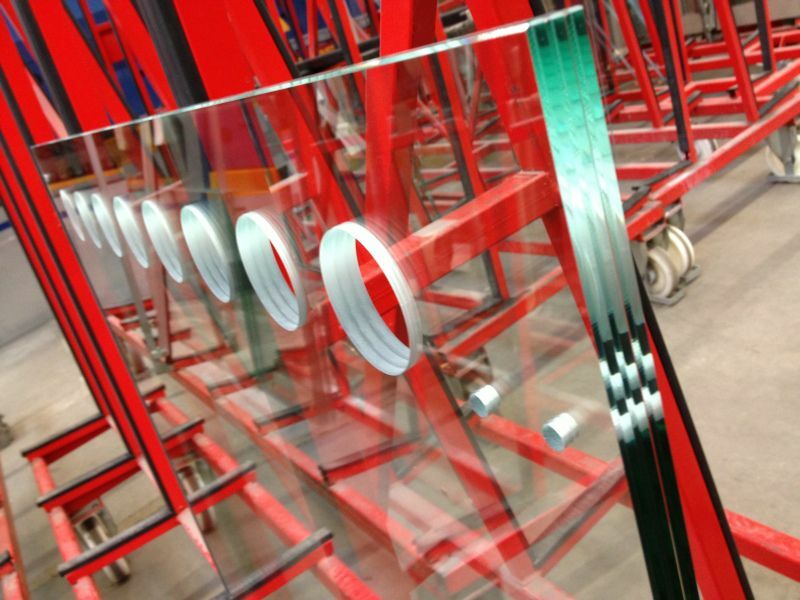 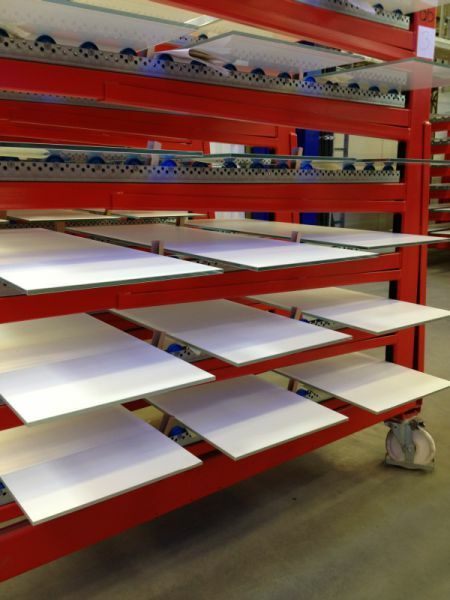 Enamels can be applied onto any smooth-surfaced flat glass that can be toughened. 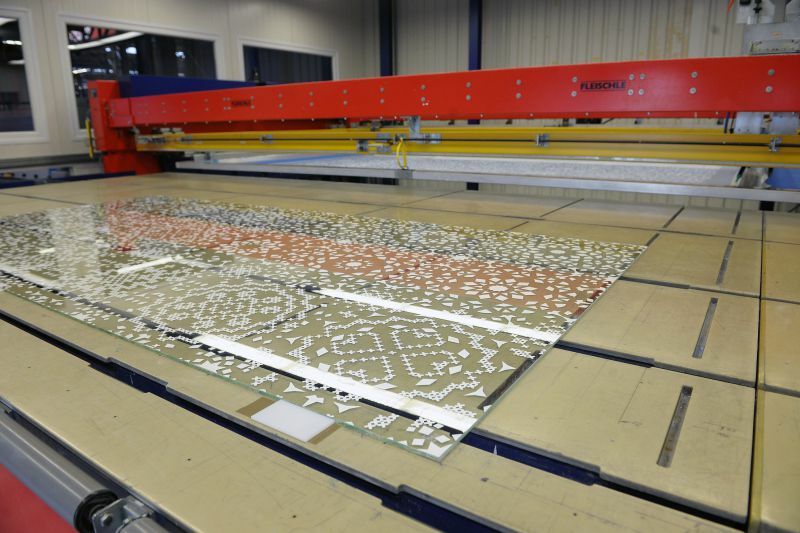 The enamels are rolled onto the surface and then fired onto the glass at temperatures between 600 and 620°C. 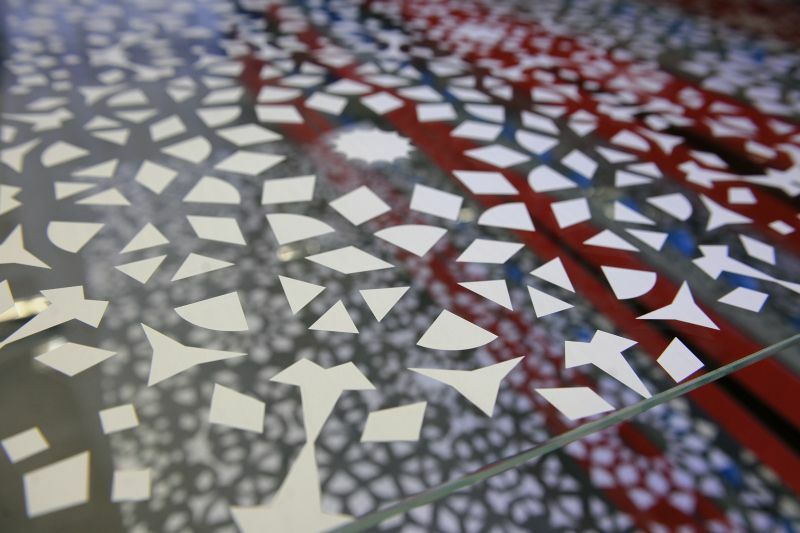 Please note that due to applying the enamels by rolling, the entire glass sheet will be enamelled. 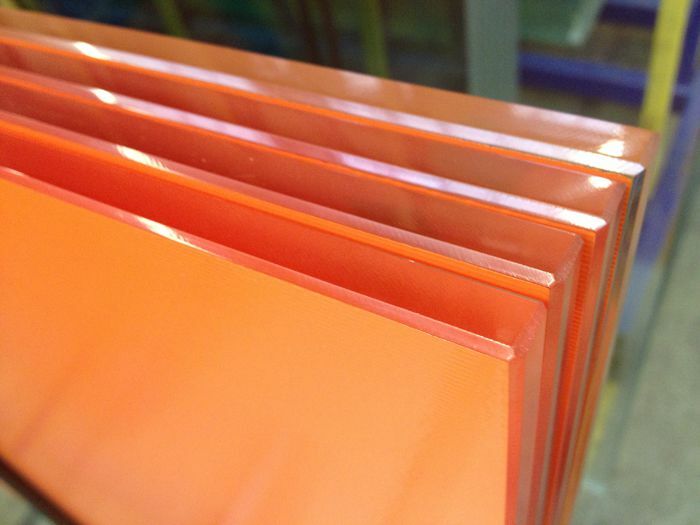 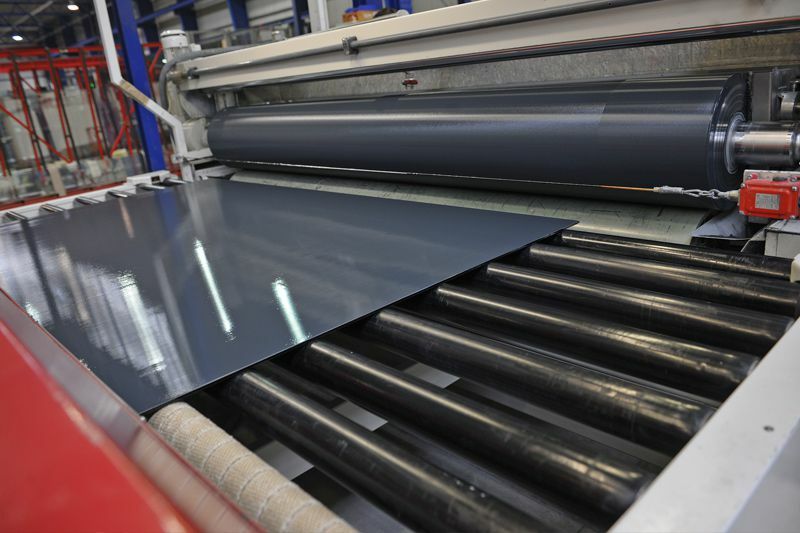 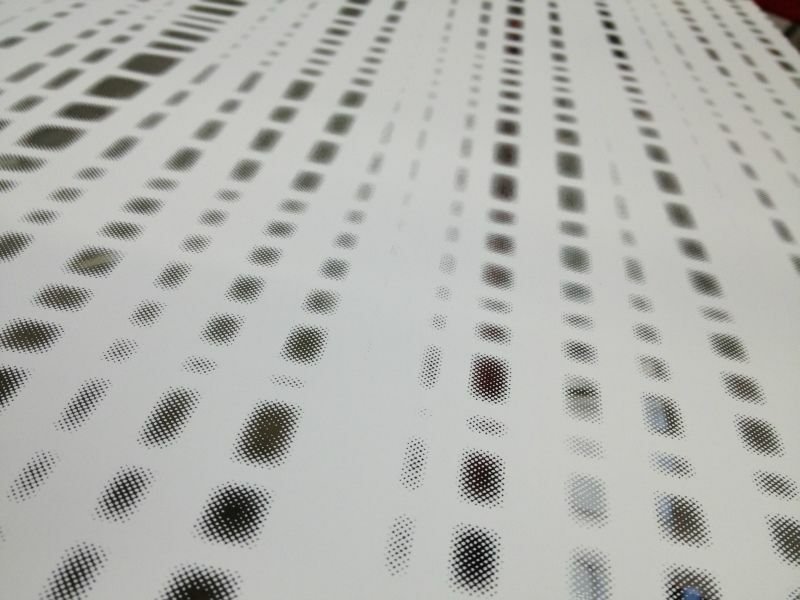 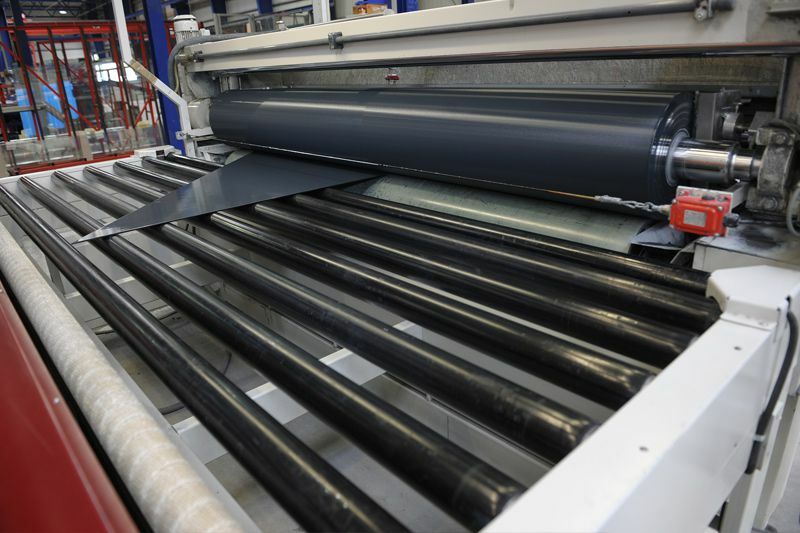 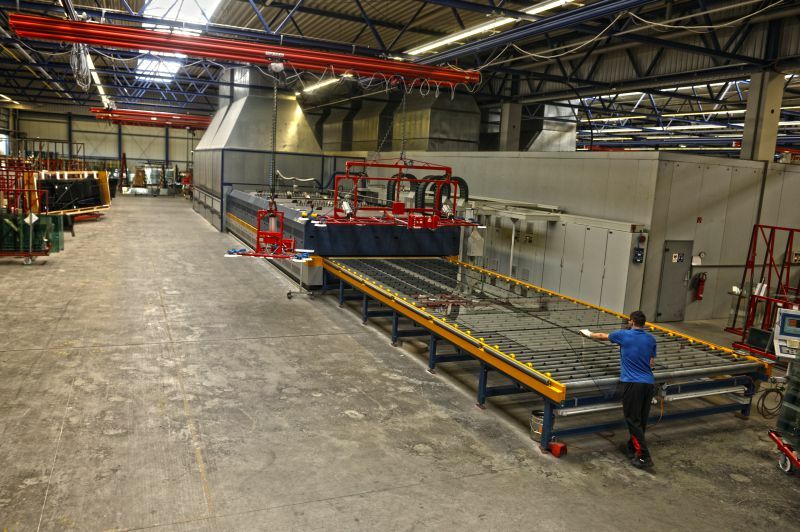 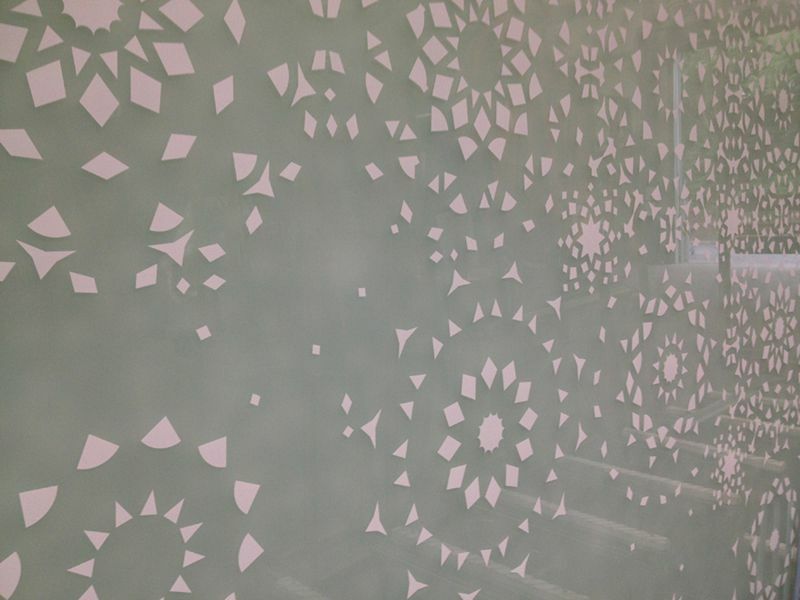 Screening is a way of colouring toughened glass by applying enamels. 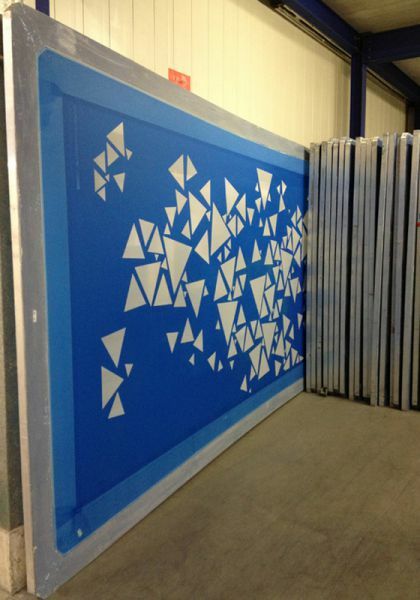 Enamels can be applied onto any smooth-surfaced flat glass that can be toughened. 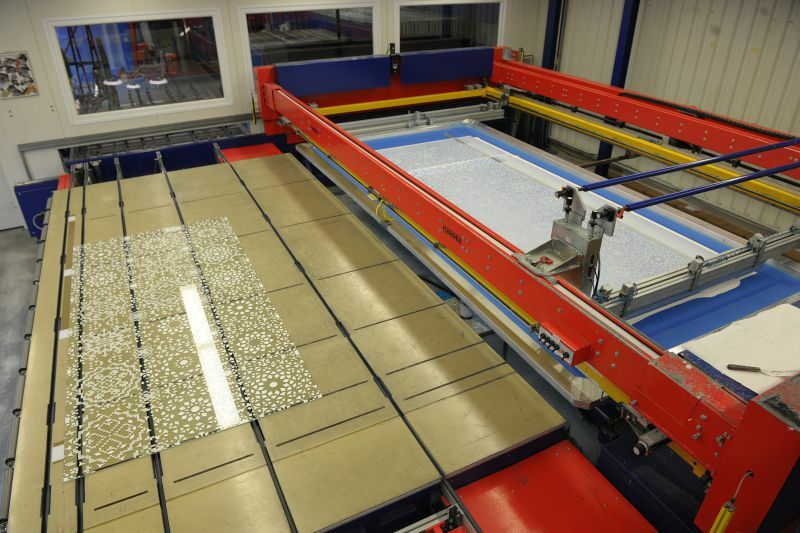 Firstly, the enamels are screened onto the surface, and then fired onto the glass at temperatures between 600 and 620°C. 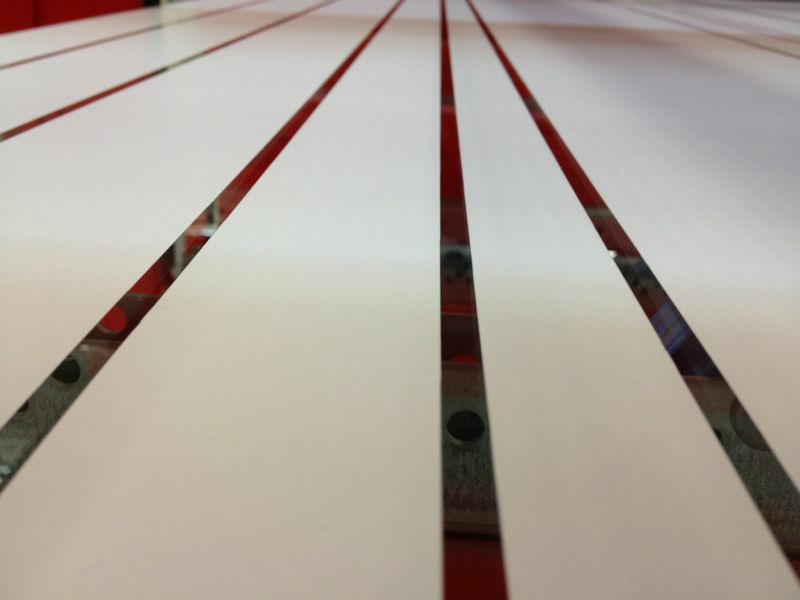 This procedure allows for partly as well as multi-coloured printing results.